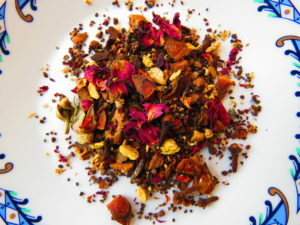 The tea is named after Kāmadeva, the Hindi God of love and sexuality. All of the spices in the tea are known to warm you up in *every* way. Rose petals were added to sweeten it and make it even more lusty.